Some say farro is the original ancestor of all other wheat species—"the mother of all wheat." 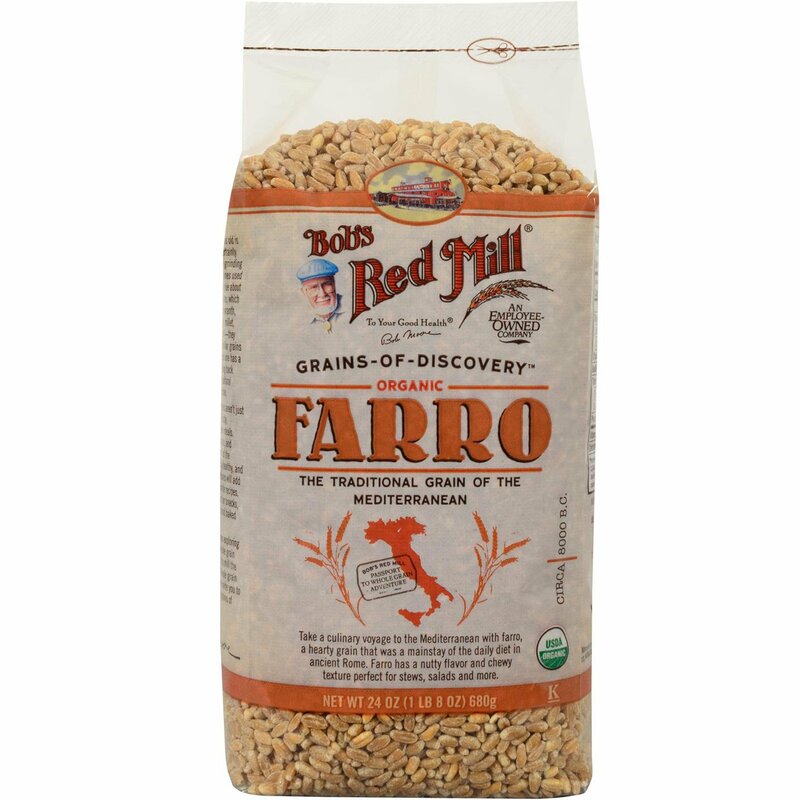 In ancient Rome, farro was a staple food that provided the main source of nourishment for the Roman legions, and it was even used as a form of currency. 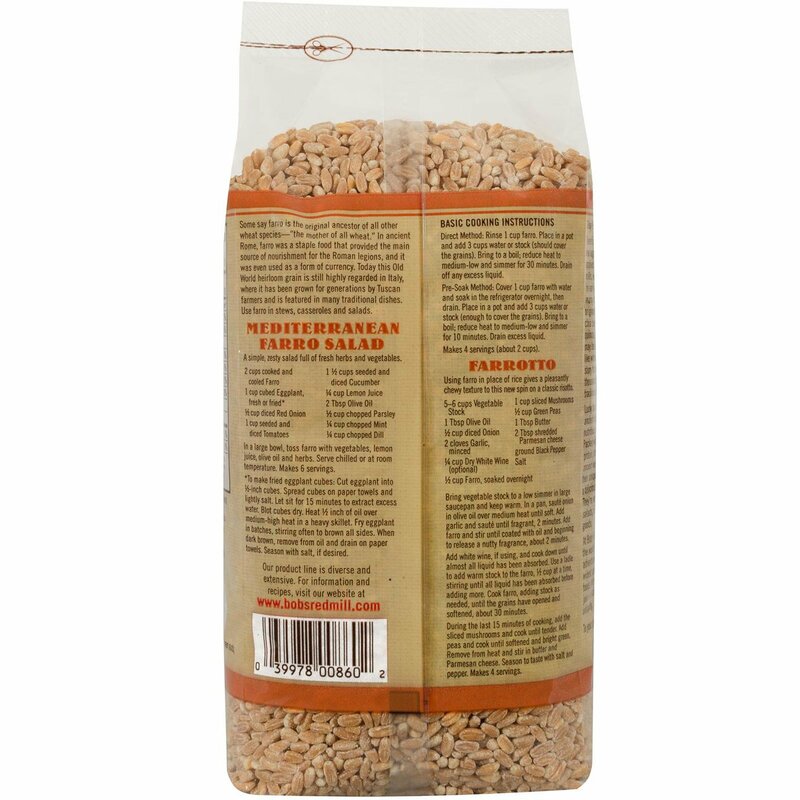 Today this Old World heirloom grain is still highly regarded in Italy, where it has been grown for generations by Tuscan farmers and is featured in many traditional dishes. Use farro in stews, casseroles and salads. Direct Method: Rinse 1 cup farro. Place in a pot and add 3 cups water or stock (should cover the grains). Bring to a boil; reduce heat to medium-low and simmer for 30 minutes. Drain off any excess liquid. Pre-Soak Method: Cover 1 cup farro with water and soak in the refrigerator overnight, then drain. Place in a pot and add 3 cups water or stock (enough to cover the grains). Bring to a boil; reduce heat to medium-low and simmer for 10 minutes. Drain excess liquid. Makes 4 servings (about 2 cups).